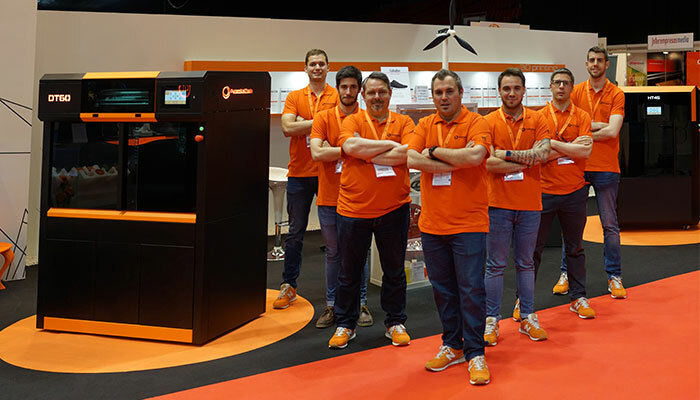 Dynamical Tools is a company in Zaragoza that have grown well over recent years in the Spanish additive manufacturing market and continues to expand internationally. 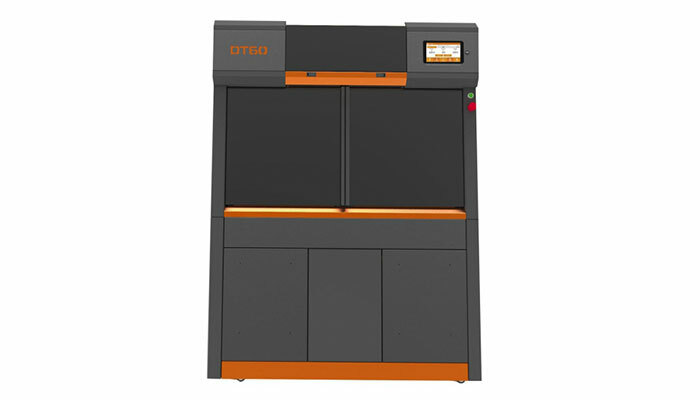 Since the presentation of its first 3D printer in 2016, the DT 600, the manufacturer has added other models to its range of machines. 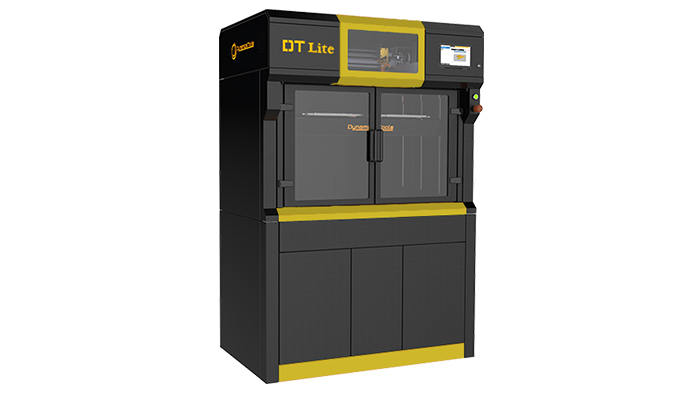 The company is currently present at Formnext which started yesterday; it officially introduces its new machine, DT Lite, a 3D industrial melt deposition printer designed for a variety of thermoplastics. We can also find the DT60, the HT45 specialised in the printing of high-resistance materials such as PEEK or ULTEM, and its SLS machine, the ST30. We met with Pablo Murillo, the founder and CEO of Dynamical Tools, for him to tells us more about the company’s evolution and its expansion into new markets, such as in France with a recent partnership with Delta Equipement. 3DN: Since when has Dynamical Tools been interested in industrial additive manufacturing and what advantages do you find there? 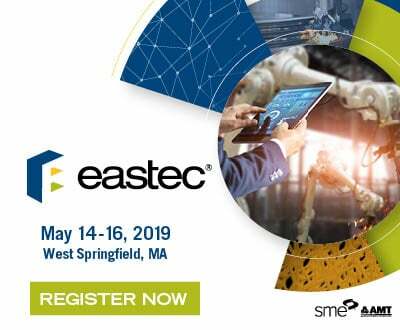 Before the creation of Dynamical Tools as a company, many of the current employees were linked in one way or another to the world of additive manufacturing. We are a team with vast experience who have come together to carry out an industrial project after analysing the market in detail and defining what needs remained unanswered today. We discovered a niche market in which we thought we could create a product that would meet all the challenges facing the sector. The results is a technology with an industrial and accessible focus. Additive manufacturing is a definite advantage in industrial production processes. This is a sector with enormous potential and today we want to develop versatile products that adapt to everyone’s needs. 3DN: What has been the evolution of Dynamical Tools since the development of your first machine, the DT 600, up until now? The evolution has been exponential. A few years ago, we presented our first prototype in Bilbao and, currently, we are finalising the presentation of a 4th product at Formnext 2018. We are already well established internationally and we consider ourselves a company in competition with the large multinationals in the sector. We hope that this evolution will continue and we will follow it with hope, confidence and security. 3DN: What industrial novelties do you intend to present at Formnext 2018? At Formnext, we present our new product, the DT Lite, as well as our other three industrial solutions. We hope our products will revolutionise the market and provide all the answers to the challenges facing today’s industry. DT Lite : Our latest machine is also based on FFF technology and offers a generous print volume of 600 x 450 x 450 mm. It has two independent extruders and can reach 300 ° C. It is ideal for all companies looking for maximum versatility. DT60 : Our printer today offers an industrial technical printing, based on FFF technology. It is equipped with a series of features such as a new engine system, liquid cooling of the extruders and a higher chamber temperature. We have developed new enhancements to provide a robust, reliable and competitive product for the industrial sector. 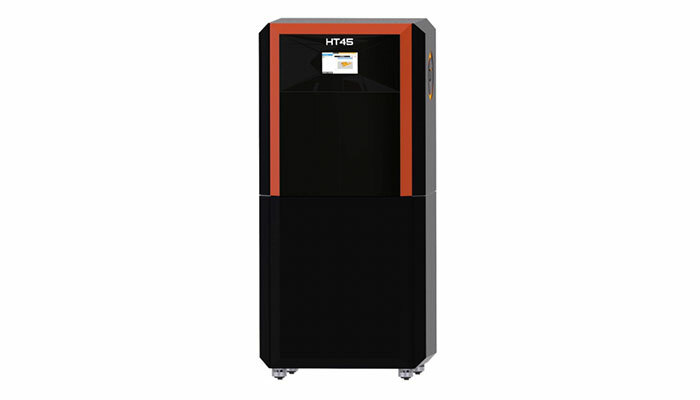 HT45 : This is an FFF technology printer designed to print high performance materials. With a print chamber capable of exceeding 200ºC, we have focused our efforts on a solution for printing PEEK, PEI and metallic filaments that can then be sintered. 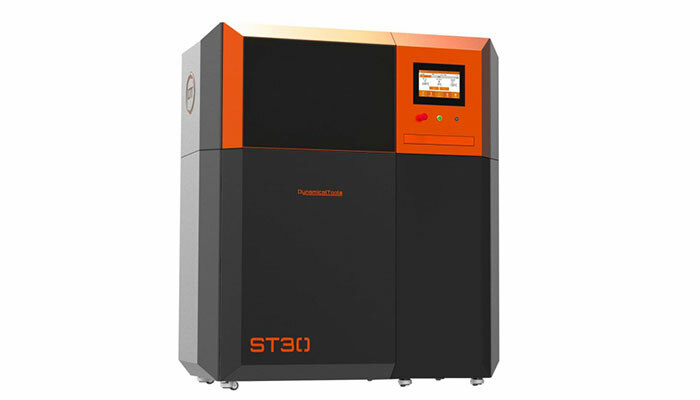 ST30 : This is a 3D laser sintering printer of considerable size designed to provide a surface finish suitable for the most demanding industries. It is a complementary machine to the rest of our FFF products. 3DN: Where do you see Dynamical Tools in 10 years? Our avant-garde spirit allows us to evolve our products and develop new technologies. Our future is tied to the development of R&D and a promising future which we hope will allow us to continue to compare ourselves to the major multinationals in the sector. 3DN: Any last words for our readers? First of all, thank you to all the companies who bet on us at the beginning, who have helped us to lay the foundations of who we are and who are now part of the Dynamical Tools family. Today, we have established ourselves in this market and our brand is associated with a guarantee of reliability, and all thanks to those who trusted us from the beginning. We invite all companies wishing to enter the world of additive manufacturing to meet us and to visit us, our doors are always open! You can find more information on our official website HERE or come and meet us at Formnext, on our booth 3.1-F89. What do you think of the Dynamical Tools strategy and technology? Let us know in a comment below or on our Facebook and Twitter pages! And remember to sign up for our free weekly Newsletter, to get all the latest news in 3D printing send straight to your inbox!